This year, the fight for "World's Fittest Gym" is going to be tougher than ever. There will be open registration for teams at the 13 worldwide Regionals (first come, first served). Only the top several teams from each Regional will be invited to compete in Aromas. At the Regional level, an Affiliate Team must consist of a minimum of four to a maximum of six athletes. The team needs to have a minimum of two men and two women. All members of the team must actively train at the same facility, which does not have to be an official CrossFit affiliate gym. At the Regional level, all the workouts will be conducted as team workouts with teams of four. Two men and two women will be competing at one time as a team. This will allow team captains or coaches to substitute members prior to an event based on team members' individual strengths and weaknesses. There is only one team permitted per gym. We recommend having tryouts and competitions within your affiliate to determine your team of four to six athletes. But that is just a recommendation. The team itself qualifies, which means teams that qualify for the Games can make changes to their roster between the Regionals and the Games. For teams that qualify for the Games, the rules will be slightly different. One key difference is that all teams must send six athletes, three men and three women, to Aromas. A non-participating coach is still optional. An equal number of team spots and individual spots are allocated to each Regional. For example, if your Regional allocation for individual spots is 4 men and 4 women, there are 8 team spots allocated. 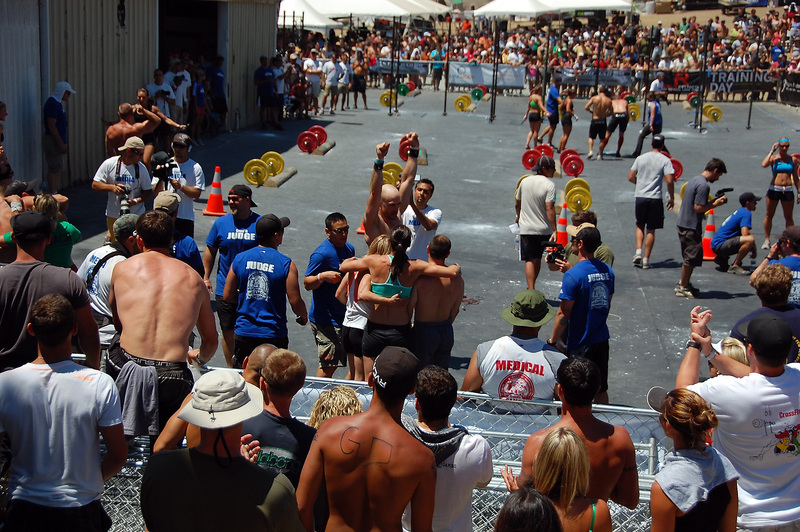 Last year's champs, Northwest CrossFit, are prequalified and invited to the Games in Aromas. There will be no team competition at the Sectional qualifiers. Team registration at the Regional will be open (first come, first served). There will be no open registration for individuals at the Regionals (everyone must qualify). This does not apply to the Master's competition, details of which will be coming shortly. Registration is not currently open for the Regionals in any way. We will open team registration in a few weeks. We will give you plenty of notice before it happens. Does the fact that a team does not have to be representing an official CrossFit Affiliate Gym mean that a health club could have a team? Do we know what the registration cost will be per team? Does registration pay your way to the next level if you qualify? Or do you have to qualify and register? Last question: For the 2-Day Regionals do you expect individual WODs on one day and team on the other so folks can do both? Or will it not be possible or advisable to do both? 06 January 2010 / 9:40 p.m.
CrossFit SoCal will be there. 06 January 2010 / 10:22 p.m. If you don't have to train at an Affiliate, why is this called the "Affiliate Cup Competition"? Shouldn't it be the "Team Cup Competition" instead? 07 January 2010 / 7:10 a.m. I like the open policy, even if you're not an affiliate you can compete. 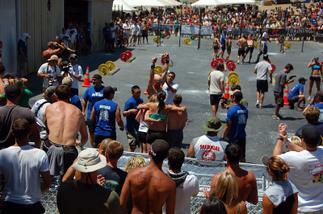 The Crossfit community has great pride in claiming dominance in fitness through performance and competition. Interesting to see how other non affiliates stack up and whether they follow crossfit sytle protocols. 07 January 2010 / 8:52 a.m. I have a major question/concern about holding the affiliate qualifiers at the regional events. Echoing one of Ryan's questions, is there going to be a format in which those individuals who have qualified for regionals still have a shot to help with the affiliate cup if they are not one of the elite 3-4 athletes that qualify for the games?? This year it is much more difficult to qualify for the games as an individual, which I completely support. However, if there is not a format set up appropriately, it is possible that there will be hundreds of Crossfits top performers who are not able to compete at all because they competed as an individual, and fell a bit short. 07 January 2010 / 9:10 a.m.
"The team itself qualifies, which means teams that qualify for the Games can make changes to their roster between the Regionals and the Games." Translation: For example, let's say I compete in the SD Sectionals and earn a spot in the Southwest Regionals. At the Regionals, my affiliate team (made up of 6 people other than me) is also competing for a spot at the Games. If the affiliate team advances on to the Games but I don't, my affiliate team could have the option to add me in place of someone who competed for them at the Regionals. Maybe a little unfair to that person who helped them get to the Games, but they would have that option. I think that scenario will actually be fairly commonplace, seeing how the top 100 men and top 100 women will (in theory) be competing in the Regionals, so very few of the affiliate teams will have all their top athletes there for the team competition. Is that what you were shooting for? 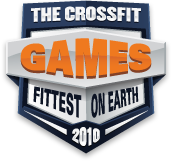 07 January 2010 / 10:31 a.m.
John, that is what the individual side of the CrossFit Games are for. Just like the NHL doesn't allow some random team of guys who train together to compete for a shot at winning the Stanley Cup, the Affiliate Cup Challenge shouldn't be composed of non Affiliates. Don't get me wrong, I don't have a problem with the open policy. My point is simply that the competition should be renamed if the idea is to see who has the best team, regardless of affiliation. 07 January 2010 / 10:54 a.m.
You make a good point Bill but I think they've done the affiliate cup for enough years now that they're probably just leaving the name the way it is. I think renaming at this point is a bit unnecessary even if it would be more descriptive. Fact of the matter is, 95% of the teams will be from affiliates and really all they're doing is letting the unaffiliated garage gym people who in a sense do affiliate themselves with the Crossfit training methodology, a shot to compete. 07 January 2010 / 12:09 p.m. I assumed the games were as the name implied limited to affiliates. Apparently they're not! I say great, let all who have the desire to compete do so. If non affiliates want to be competitive they will surely have to become familiar with crossfit movements, WODS, etc. I think it's gonna be interesting to see how things unfold. 07 January 2010 / 12:31 p.m. I personally don't mind, in theory, allowing non-affiliated teams compete. I believe it's great for the sport to include everyone. However, the fact that it is first come, first served where the vast majority of affiliates will not be able to even register due to limited space, I believe it is highly unfortunate that a group of folks at an affiliate look forward to this event and train for it all year, while a few non-affiliated folks will be taking their place. My team has been training very hard and ready to have a bunch of fun. I have a fairly new gym and none of which have much interest competing individually. But to find out they will possibly lose their spot, or have their chances of competing diminished due to the fact that outsiders can register and will inevitably take up some spots, will be very unfortunate and disheartening. As it was, Last year had less than 100 teams competing while there were 1000+ affiliates in existence. Good luck to all the athletes. 07 January 2010 / 2:18 p.m. Very interesting. Consider this. All affiliates pay an annual affiliation fee. All affiliate owners and trainers had to pay for any certifications. As an affiliate owner, my ability to stay in business and make a living depends on income from paying members. Simply put, this money funnel dumps a portion to HQ every year as long as affiliates stay in business. Maybe that should carry some leverage in considering who competes? We are only letting paying members tryout for our team, period. I think the volume of interest this year would without a doubt, fill all spots with or without an open policy. I am in NO way complaining about affiliate fees and certs! Just making a point. I'm sure there's alot I'm overlooking but this is just my kneejerk reaction. Good luck everyone! 07 January 2010 / 2:32 p.m.
07 January 2010 / 3:16 p.m.
Last year all 1000+ affiliates had the opportunity to register a team for the Affiliate Cup at the Games but only 96 chose to do so, therefore no affiliate was left out. This year's Affiliate Cup Registration will also be open enrollment and designed to allow every team that wants to compete to be able to do so. I guarantee that again a minority of affiliates will compete and no affiliate team will be turned away, especially to a non-affiliate team. Will, your team will get it's shot at Regionals, and if good enough, at the Games. Don't worry just sign up when instructed. This year's Affiliate Cup has been titled "the fight for World's Fittest Gym." In order to make that claim and in order for the winner to be able to make this claim HQ must open registration open to all gyms. This legitimizes the Affiliate Cup and continues to prove that the Games are the proving ground for the world's fittest athletes. 07 January 2010 / 3:41 p.m.
Ryan, I hope you're correct for this year. But it should be stated that last year originally only allotted 75 spots. When that sold out very quickly, they opened a few more slots. From what I understand, my friend from Northern CA was told they could not register because after expanding the available slots to 100, they were full and he was told he could no longer register his team. All this is a moot point though. I'll either get my team in, or go enjoy the festivities. These boards are to encourage discussion. And the fact that HQ reads them and sometimes gives feedback in response to our queries is pretty cool. They'll do the best job that can be done as always, and I'll be there in support whatever the case. They work their asses off to put on a quality event that's a logistical nightmare, and they have all my respect. 07 January 2010 / 11:29 p.m.
1 - if you can have an unaffiliated team, then you could create a team that wins a spot with some decent folks and then pull 6 folks that did not make the individual cut and just put them on your "team" since the roster doesn't matter. This is kinda bad i'd think. 2 - several top crossfitters from around the states could just pull together to make a super team. This would defeat the whole idea of the competition. 3 - next you could have an affiliate register their A team as say "the Garage". Then register their B team as "Garage Gym", thus getting 2 into the regionals. 4 - if the team and individual regionals are held at the same time making it impossible to compete in both, then it is possible for an individual to not qualify and for his affiliate to not qualify and therefor none of them get a spot. But maybe if that individual had gone on the team, then possibly they could have won and at least the team would have a spot. imho and not that i have a single ounce of authority or behind the sense knowledge.... the organizers either have this covered and just haven't told us yet or this will be one big attempt to herd cats. I think its the first though. 08 January 2010 / 5:03 a.m. I agree with John F that the open policy is necessary for CrossFit to claim the fittest man/woman/team/affiliate or whatever else. By allowing anyone to come compete, you open it up to globo's and power lifters who have bashed CrossFit to come test their strengths. The Garage crew will be at our regionals fighting for a birth to the big show! 08 January 2010 / 5:15 a.m. There's a third option, which is that you didn't read the post well. The team doesn't have to be an official CrossFit affiliate, but all the athletes do have to come from the same gym, meaning they have to actively workout at that gym as their primary training center. And, there can only be one team per gym. As to the roster changes, if we didn't allow it as a policy, what would we do about injuries? Disqualify the entire team? Furthermore, there are some changes between the Regional competition and the Games. The obvious one is that the Games teams must have three men and three women, where the Regional teams can have other options. Are the Yankees still the Yankees if they trade their pitcher? 08 January 2010 / 7:40 a.m.
08 January 2010 / 8:06 a.m. I am slightly concerned about the affiliate qualifiers. I understand that the team name is all that needs to qualify at regionals but what if your strongest athletes (specifically, strongest females) at your affiliate are already competing at regionals as an individual. If that athlete does not qualify to go the Games as an individual and their affiliate team does not qualify then that athlete is SOL. I guess my question to you would be; has HQ thought of this scenario and would HQ consider having the affiliate qualifiers be on day two after the individual events are done? 08 January 2010 / 9:15 a.m.
Good point about the Yankees. The individual competition is geared toward finding, testing, and announcing the world's fittest man and woman. In typical CrossFit fashion, much of the media follow-up has been getting to know those individuals (where they live/work/sleep, how they eat/train/think, what motivates/frustrates/challenges them). We learn from them. The team competition is geared towards finding, testing, and announcing the world's best gym (defined in this context as: a group of men and women who train at the same facility). What is their community like? Do they have some special programming/strategy/skill sets? What makes them superior to their peers? Again, we'll learn from them. OPEN vs. AFFILIATES ONLY...C'mon guys. A lot of us train at an affiliate, and a lot of us did this stuff from the mainsite at a globo-gym for years before we stepped foot into a CrossFit Box. The affiliate community is a wonderful arm of the greater CrossFit Community, but to exclude our brothers who don't train at a box seems a bit insulated. This format allows groups of our servicemen who CrossFit together to participate. It allows those that are skeptical (I know I was), and believe their fitness to be superior to put it to the test. This also allows the group of 8 CrossFitters in Moline, IL who work 90 hours a week together and CrossFit in the basement of their minor league baseball stadium to compete, if they like. These events take more coordination and effort than anyone would like to consider, especially for local affiliate owners who are not professional event planners. However, every effort will be made to accommodate the largest number of teams. A great testament to the growth of our Sport of Fitness would be that several regions do, in fact, exceed their capacity for teams. If that happens, The CrossFit Games has an established track record of doing everything they are capable of doing to get it right. 08 January 2010 / 9:20 a.m. It seems that if a team would not even QUALIFY for The CrossFit Games in Aromas without a single athlete (ie one who competed in the Regionals as an individual), then they may not be the World's Fittest Gym. I know it doesn't make it any easier to swallow, especially for the teams that are just looking to be part of Aromas in 2010. CrossFit SS will hopefully be in that same predicament (with a couple athletes competing individually, and a Team). Our plan is to get more athletes up to a competitive level between now and Regionals! I'd rather challenge the members and athletes at our gym to take control of this ourselves. 08 January 2010 / 9:31 a.m.
"...but all the athletes do have to come from the same gym, meaning they have to actively workout at that gym as their primary training center." Myself, my fiance, my friend, and my friend's wife currently train using Crossfit methodology and consider ourselves to be a garage gym of sorts. However, my fiance and I live in NY and train in our grage and they live in NC and train in their garage. We are in contact on a daily basis via e-mails and blogs, and three of the four of us have attended a L1 Cert. We have even trained together when I visited him last summer in NC, and when he came to visit NY in April 2009. We have talked about how much fun it would be if we could all compete together in the Affiliate Cup. So, my question is: Could we actually enter a team into the Affiliate Cup we come from the same "gym" mentally/virtually (don't know how to state it), but don't train together physically? ...Or am I just ridiculous for asking this question? 08 January 2010 / 10:05 a.m. It's not a ridiculous question, but your situation would not be permitted in this competition. We've talked about the possibility of an "all-star" competition (or at least "location-independent" teams), but that would be quite different from this year's Affiliate Cup competition. All the athletes on a team must train geographically together at the same gym or with the same gear as the case may be. 08 January 2010 / 11:32 a.m.
Tony, in regards to training at the same gym; what if there is a situation where we had a guy in our box for a year or two and for the last3 months he's been away on deployment and Crossfitting with his unit overseas. Is that person now considered to be part of his unit's gym or can we still claim him as our own? How long can a person be gone before they are no longer included? If a person leaves for an extended period of time but plans to come back to the gym is he/she excluded? We also have some younger guys that train with us all summer and go off to college in the fall/winter. Many of them don't have a box they go to at school, can we still use them? 08 January 2010 / 12:56 p.m.
JB, very well stated my friend. I look forward to competing against all my bretheren, and will resolve myself to not overthink these things too much. MY kneejerk reaction seemd heartfelt at the time. Now with a couple days of reflection, I am in complete agreement with you. 08 January 2010 / 1:33 p.m.
Can we get some information on the Masters Division and registration for it? 08 January 2010 / 3:01 p.m. The Human Lab will make its debut. We are excited! 09 January 2010 / 4:52 p.m. I too am curious to know the answer to this question, as a college student who trains at a box when at home and on my own while at school out of state. 11 January 2010 / 6:15 a.m. I am still unclear about whether or not you can individually compete at regionals as well as with your affiliate team. If the team and individual regionals are held at the same time making it impossible to compete in both, then it is possible for an individual to not qualify and for his affiliate to not qualify and therefor none of them get a spot. But maybe if that individual had gone on the team, then possibly they could have won and at least the team would have a spot. 11 January 2010 / 8:30 p.m.
"World's Fittest Gym?" Hey, you know what would be kind of cool and, at the same time, serve as a great marketing and advertising tool? CF should extend an invitation to Bally's, 24-Hour Fitness, and Gold's Gym (and any other established franchises) to each field one team plus two individual male and female athletes to compete at the main event (meaning, the Games at Aromas). 12 January 2010 / 10:46 a.m. Questions for HQ....Is there any work towards a more centralized location for the North Central Regional Qualifier? It's hard from Illinois to go to Colorado when the is one relatively close in Ohio. probably easier for you to get to colorado than the person from hawaii getting to cali. 20 January 2010 / 6:38 a.m. Here is a scenario that could change things. What if 3 of the top five females from 2009 games, who happen to be from the same gym and don't have to compete in individuals for regionals, were on an affiliate team just so they could get their box to the games. Would that be fair? 23 March 2010 / 7:34 p.m.
Will the entry fee for paying CF affiliates be the same as for those who dont pay annual affiliation fees? Will priority be given to paying affiliates over non paying non affiliates? So with the new rule of 3 men and 3 women for the games if your team qualifies with 4 men and 2 women you have to sub one of the guys out correct? 26 March 2010 / 12:33 p.m.
the new rule for team affiliates is bogus. the athletes that qualified in regionals as a team should be the ones competing in Aromas! The Yankees don't switch their team when going to the World Series! Yes they may switch out their pitcher but not the entire team! Why have a regional qualification then? 18 June 2010 / 8:28 p.m. The Women’s Inlux Insulated Jacket is a wonderful alternative for these cold wintery days when you may be moving speedily and typically and don’ want to get sweaty. 14 November 2011 / 10:48 p.m.